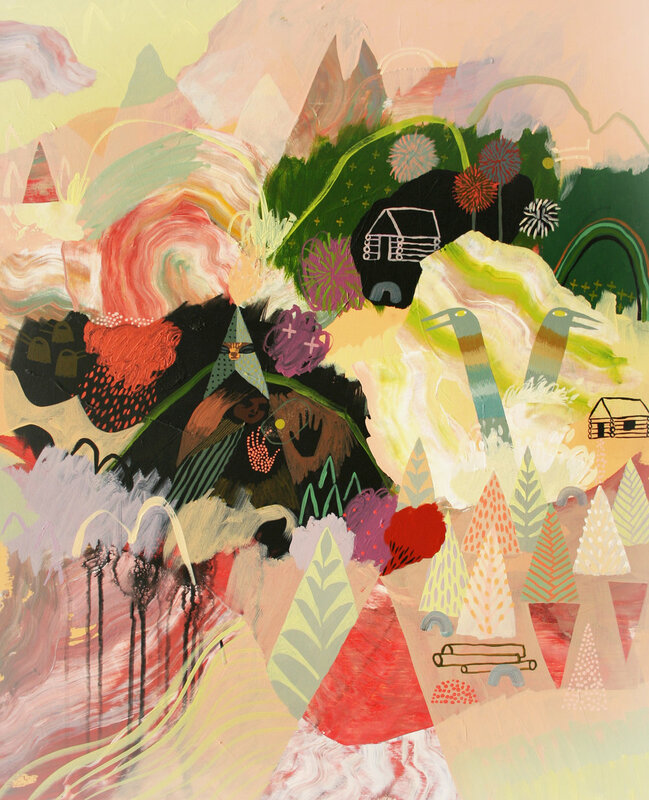 Meghan Hildebrand’s paintings are constant exercises in innovation and improvisation. With a unique vocabulary of symbols, she translates her northern coastal landscape into electrifying dreamscape scenarios, each image often alluding to a larger narrative. Despite frequent reinvention, her works often return to familiar themes—the childhood dream, a sense of journey over land, and the ‘personality’ of place. Defined points of interest, doorways, and inlets, invite the viewer to enter the image and join the narrative.